Sprint announced the launch of the Sprint IoT Factory, an online marketplace that presents businesses with complete, ready-made boxed solutions that leverage the power of Internet of Things. With more than 550,000 developers already driving innovation on the platform, according to Sprint, businesses owners can access the latest technology to connect and automate what matters most to their unique operations. The Sprint IoT Factory boasts ready-made solutions that, they claim, require no experience with IT. Options include refrigeration-temperature-monitoring for grocery/convenience stores and energy-management tools for manufacturers looking to cut costs. Likewise, developers are invited to build their own solutions. The Sprint IoT Factory is reinforced through a strategic relationship with myDevices and The Goldie Group. MyDevices provides their IoT in a Box solution. The Goldie Group serves as the fulfillment arm, enabling scalability for IoT. Interested in next-gen solutions? 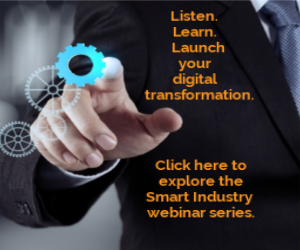 Join early adopters at the 2018 Smart Industry Conference. Click here to learn more.